Not visible to the open eye, mattresses have the potential to collect the most amount of dust particles and dead skin cells as compared to other home items, given that it is something we spend a lot of time (sleeping) on day and night. If these impurities collect over time, it could lead to various health and hygiene problems such as sinus attacks, allergic reactions and even exacerbate existing skin conditions. If you’re guilty of neglecting the hygiene of your mattresses, fret not, for here are 3 tips on how to keep the mattresses in your home in tip-top condition. 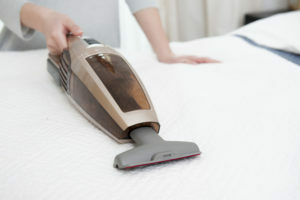 A strong, hand-held vacuum is extremely efficient in drawing out dust mites and dirt from mattresses. Press the vacuum firmly onto the mattress and run it along the surface while maintaining the pressure, paying particular attention to possible crevices in the mattress. This ensures that there is no build up of unhygienic particles or dust mites. The heat from natural sunlight is great for naturally eliminating the accumulation of bacteria. 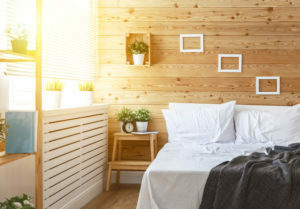 As frequently as possible, leave your bedroom windows open and remove the bed linen so that the mattress gets a breeze of fresh air through the mattress. This will ensure that any damp patches on your mattress is thoroughly evaporated, so it does not create any possible conducive environment for bacteria or mould to thrive. Engaging a professional mattress cleaning shop is another way to ensure your mattresses are in good hands. Most of these companies adopt various methods to clean mattresses, such as steam cleaning, infrared heat treatment and deodorising. Average prices range from $110 (for a queen-sized mattress) to $180 (for a king-sized mattress), and the total time taken span from as short as 20 minutes to 2 hours. Professional cleaning companies would also most likely advise customers to wait for a short period of time before making their bed in order for the chemicals to completely penetrate the mattress. A hygienic mattress is paramount for healthy sleep. Your mattress is the foundation to quality sleep and needs to be taken care of consistently so that it does not lose any of its properties. A large number of mattresses available in the shops are sold with fixed covers. These mattresses are hence more indefensible to the accumulation of dust mites, bacteria’s, and mold. It is also hard to clean the cover or remove any stains. If you want the ultimate cheat to be certain that your mattresses at home are always protected and hygienic, consider getting those that come with removable covers for easy cleaning. Sofzsleep natural latex mattresses are wonderfully made with a perimeter zip that allows you to remove the mattress cover for dry or machine-wash cleaning. You no longer have to dispose your mattress because it is soiled or having to bear with those unsightly stains any more. You can sleep well knowing that your mattress is fresh and sterile because the cover is clean.